Here's an oldie but goodie. Just print the dice (colored paper not required). Cut and tape together the dice. 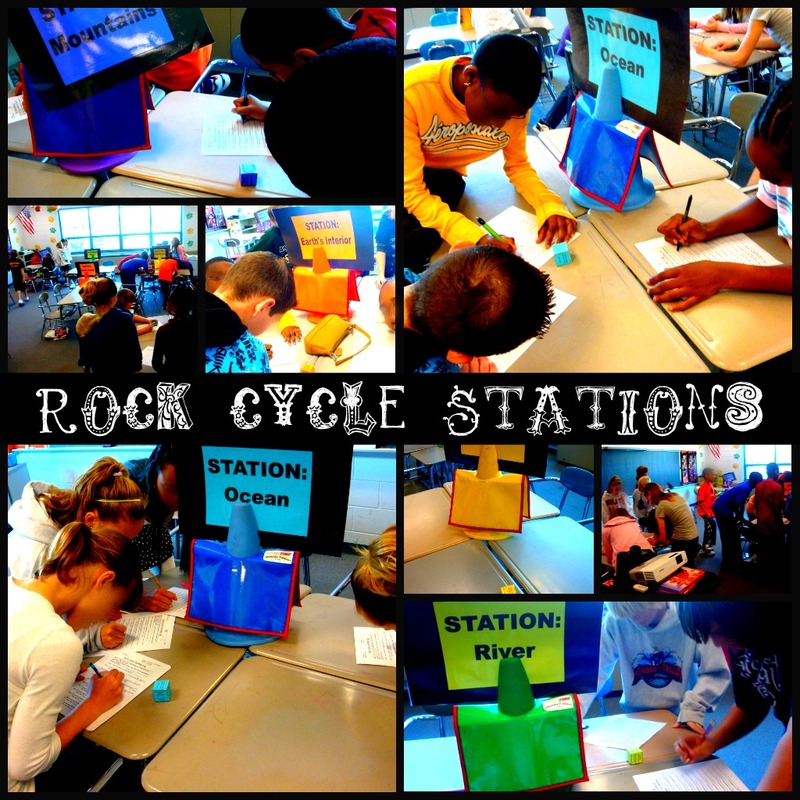 The students follow the rock cycle, recording what happens to them and where they move to. Followed by creating a cartoon strip of their travels. It's very fun to watch because no 2 students/rocks take the same exact journey. LOVE this idea. However, the link is no longer valid. Any idea where I can find the resources for this activity? Thanks for letting me know that the link broke! What a bummer! Here is another one I found...it should work! Hope this helps! Is there another link for the cubes? I couldn't seem to find it...thanks! Thank you for posting the fresh link to get the two page handout. Do you have a link to the dice and how to create the stations? It looks like a wonderfully engaging activity and I really want to use it. Here is the link to the Illinois State Museum Geology Online. It includes the whole activity with the dice. Thank you so much for sending the direct link to the activity with the dice. I had tried going to the website myself but the links would not give me the whole activity.